Despite the best available treatments, relapse rates for bipolar disorder remain high, contributing to significant morbidity and mortality. Self-management is increasingly recognised as a cornerstone of effective treatment, empowering individuals to take an active role in managing their condition and improving their quality of life (Morton et al., 2018). Because of these different features, we believe that treatments need to be better tailored for bipolar II disorder. Very little is known about the self-management strategies that individuals with bipolar II disorder use, and how these may complement evidence-based treatments for this chronic mental health condition and its distinguishing features (e.g. chronic depressive symptoms, elevated mood states that are not associated with impairment, high levels of anxiety). Clinicians and consumers have called for the development of targeted interventions for bipolar II disorder (Swartz et al., 2009; Fisher et al., 2017a, Fisher et al., 2017b). 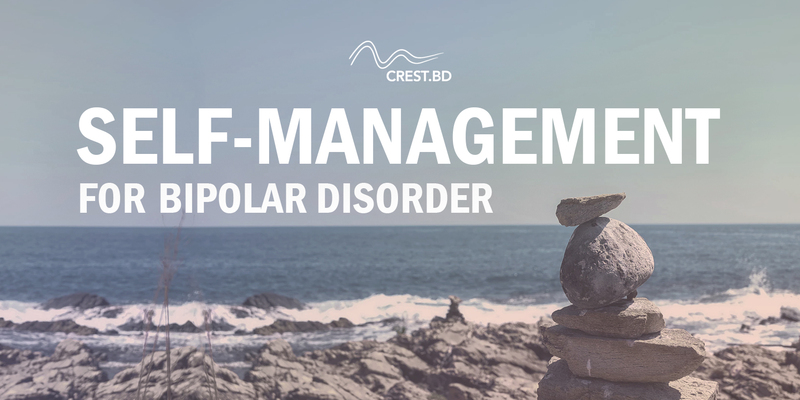 An understanding of bipolar-II-specific self-management strategies is a key first step in this development process. Living with bipolar II disorder: what works? The aim of this research study is to develop a comprehensive list of self-management strategies based on lived experience with bipolar II disorder. The study seeks to improve our understanding of what works for bipolar II disorder in managing different mood states (depression, hypomania), its associated symptoms (anxiety, suicidal ideation, day-to-day mood variation) and consequences (interpersonal difficulties), and what people do to improve their quality of life. Study findings will deepen and extend understanding of self-management in bipolar disorder from earlier research (e.g. Michalak et al., 2016), informing the later development of an online self-management program designed specifically for people with bipolar II disorder. Interested in contributing to our understanding of bipolar II disorder? Completing an online survey, where you will be asked some basic information about yourself, the strategies that you use to manage bipolar II disorder and promote good quality of life, and your opinion about treatments for bipolar II disorder. The online survey will take no more than 45 minutes, and you will be reimbursed $10USD for your participation.